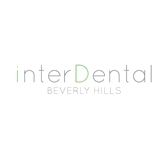 George Bovili, DDS (Beverly Hills) - Book Appointment Online! At our Beverly Hills office, we strive to provide the best care possible for our patients in a relaxing and comfortable environment. Our patients always receive our undivided individualized attention and their time is always valued as our own. With our highly trained and experienced staff, committed to continued education and clinical advancement to ensure our patients receive top of the line and latest dental care possible, our patients can approach their treatment and expected results with full confidence.